Letterpress printing dates back to the 15th. It is done by inking a plate with a raised surface of type or images and pressing this inked surface into a sheet of paper, creating a beautiful debossed impression. Each piece is hand-fed, one color at a time and one piece at a time on one of my 60-year-old presses, a Chandler & Price Pilot press and a Vandercook #4 proofing press. The result is a lovely card with a soft, lush feel. To feel it is to love it. 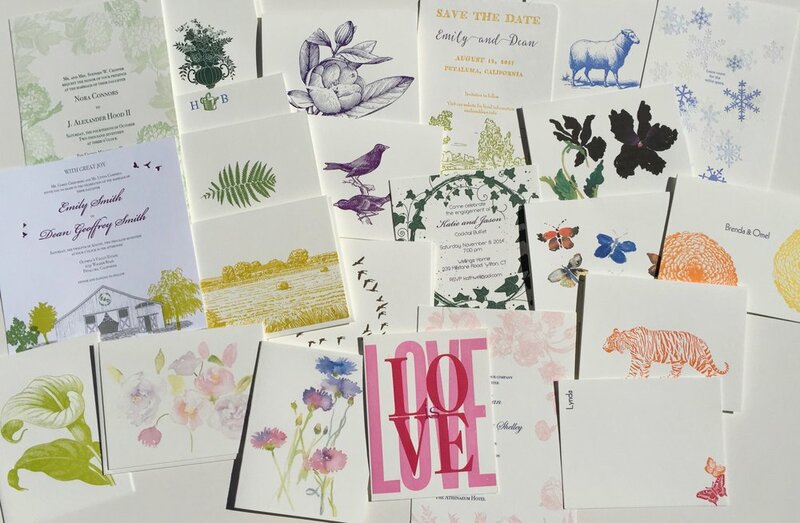 Cards, Calendars, Invitations, Oh My!